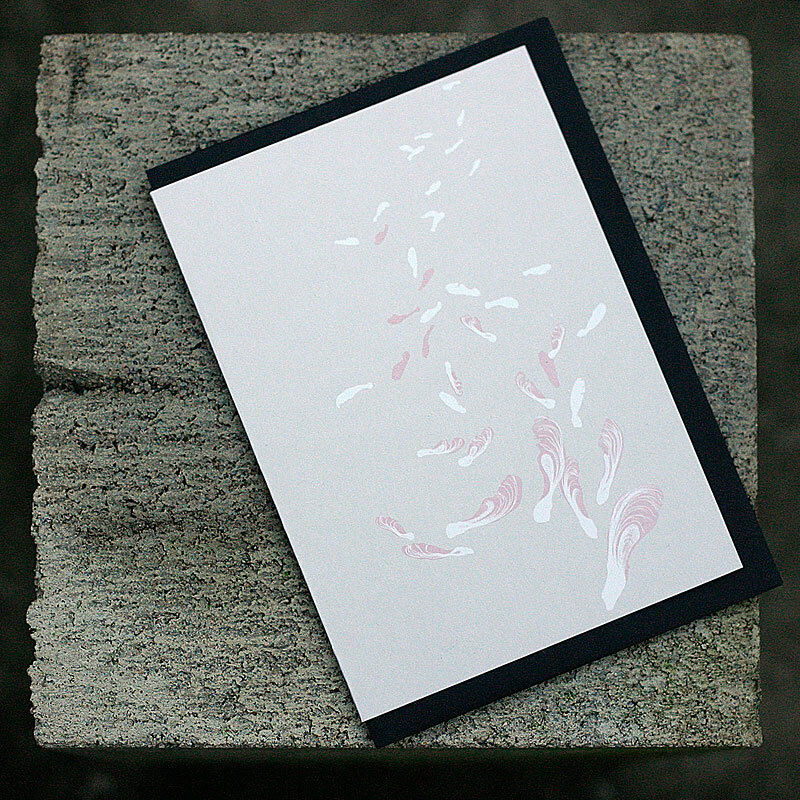 This standard sized greeting card features an original hand drawn image, "Helicopter Seeds". Caught on a gust of wind the delicate seeds are spinning down to the earth. This design is also featured on our 3/4 sleeve winter tees! Professionally offset printed in Sydney onto 70% recycled paper stock, this card is accompanied by a black C6 envelope and comes individually packaged in a clear plastic sleeve. It is blank inside for your own message.